Velvet Paw Creations: A Carmen's Veranda Christmas ATCs! I'm back with my 3rd post for today...I told you today was a busy day in blog land LOL! It's non-stop fiesta time over at Lost Coast Portal to Creativity where Lost Coast Designs and Carmen's Veranda collide to bring you twice the inspiration and double the fun! 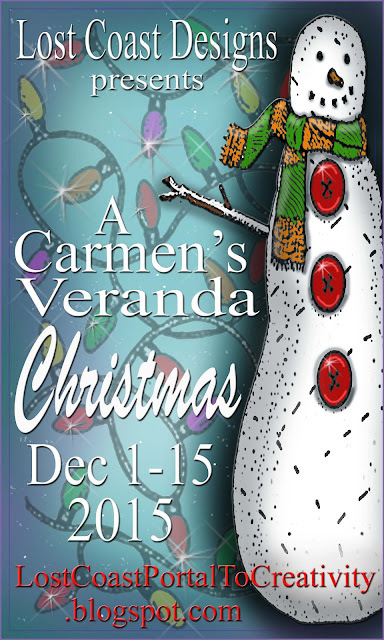 Our A Carmen's Veranda Christmas Contest began today so dash on over and get all festive with us! 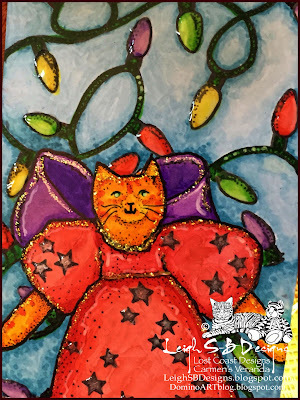 The Day 1 post is bristling with DT eye candy you don't want to miss! 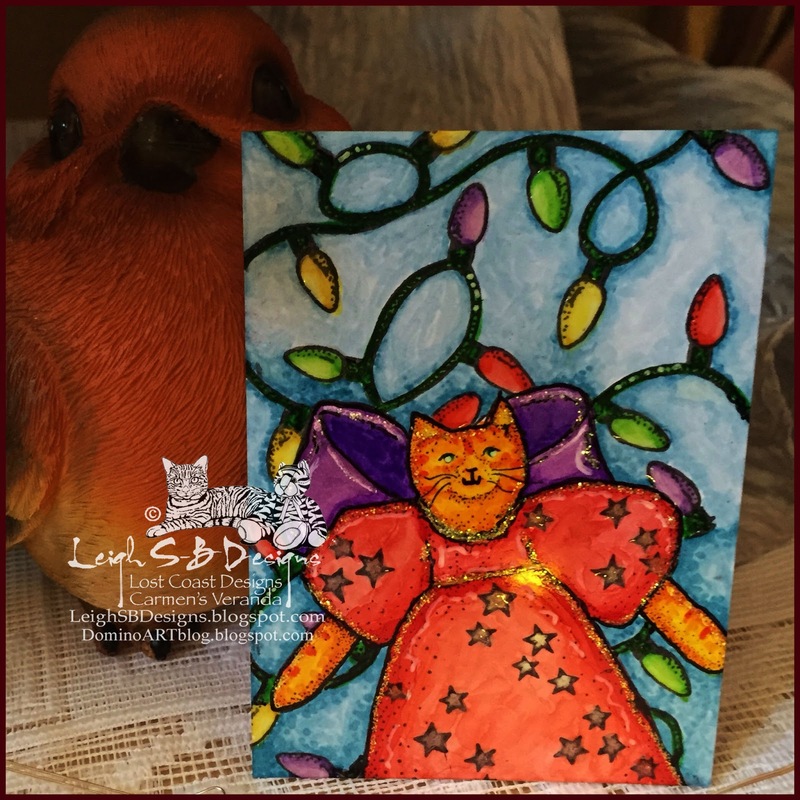 I'm sharing 2 ATCs over there today! I used semi-gloss cardstock for both ATCs and stamped the images with black Memento ink. The snowman and the kitty were stamped first, masked and then the backgrounds stamped. I coloured everything with Copics and added detailing and highlights with gold, silver and white gel pens. 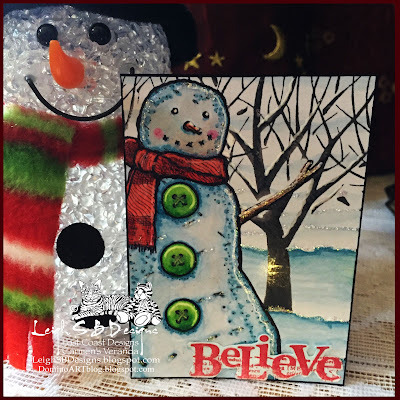 I added lots of Christmasy sparkle with crystal Stickles glitter glue. 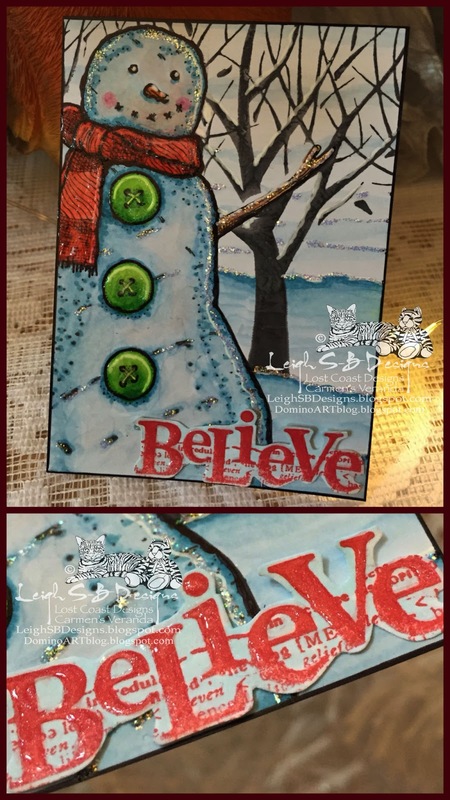 I stamped the Dictionary stamp "Believe" with red Versafine ink, added dimensional sparkle with my Vive Pearl Magic Transparent White pen, fussy cut it out and adhered it to the ATC with Scotch Quick Dry Adhesive. I added Judikins Diamond Glaze to the fairy lights on the 2nd ATC for some glass-like dimensional fun too. Thanks for visiting with me today and I hope to see you over at Lost Coast Portal to Creativity and on our LCD/CV Facebook Pages too! Love these ATCs....I nearly chose the lights stamp for one of my wins, just couldn't decide out of all the wonderful stamps!